Peter Scott Cars independent vehicle specialist, based in Widnes, Cheshire. Welcome to Peter Scott Cars. We specialise in providing an excellent Personal Service and the very best new and used vehicle deals around. From having full retail premises, and the overheads that accompany such an operation, we are now embracing the internet to reduce our costs and offer the most competitive vehicle deals available. If you wish to make arrangements to view any of our vehicles please contact us and the vehicle will be removed from sale, for the duration of your trip, so you can plan your journey confident that the vehicle will be available for your inspection upon arrival. Over 30 years experience supplying quality vehicles to the motor trade and public. 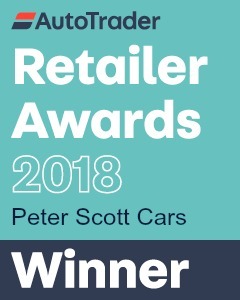 No wonder Peter Scott Cars was described as ‘truly inspirational’ and ‘the best-of-the-best’ by Auto Trader sales director, Le Etta Pearce, who presented the awards alongside former Gadget Show presenter, Jason Bradbury.